Northern Illinois University forward Samantha Hill shoves Western Michigan midfielder Megan Putnam Thursday, October 27, 2011 at the NIU Track and Field complex in DeKalb. 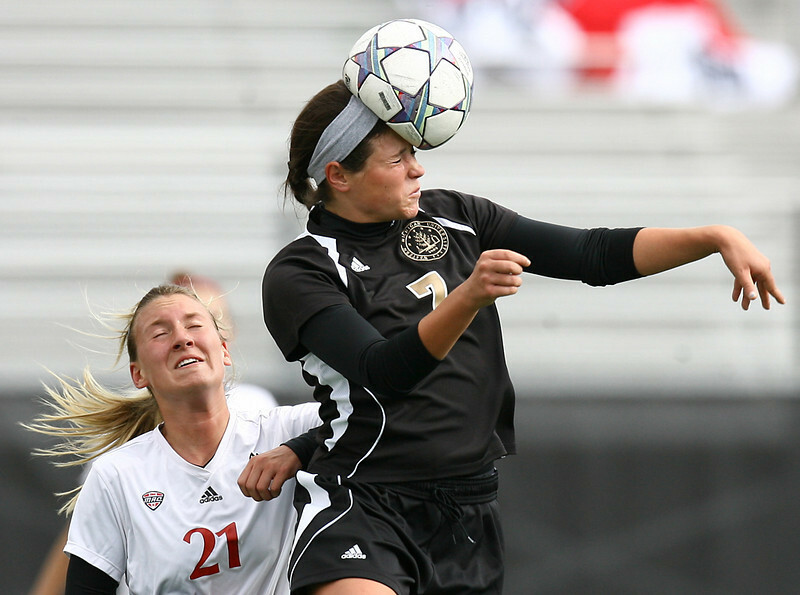 Western Michigan would go on to beat Northern Illinois 2-0. 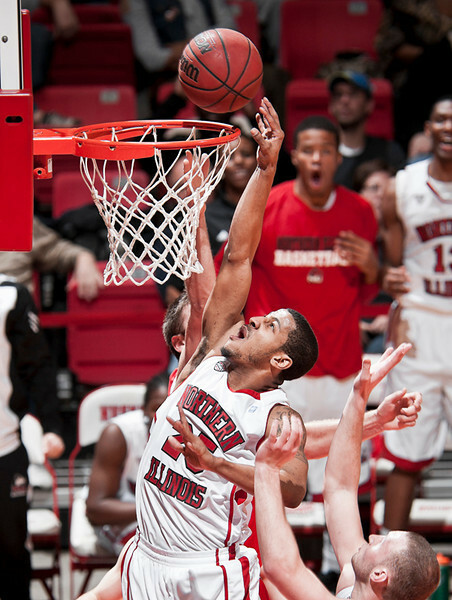 Northern Illinois University guard Tony Nixon gets a basket for two points Thursday, February 9, 2012 against Miami (OH) at the NIU Convocation Center in DeKalb. 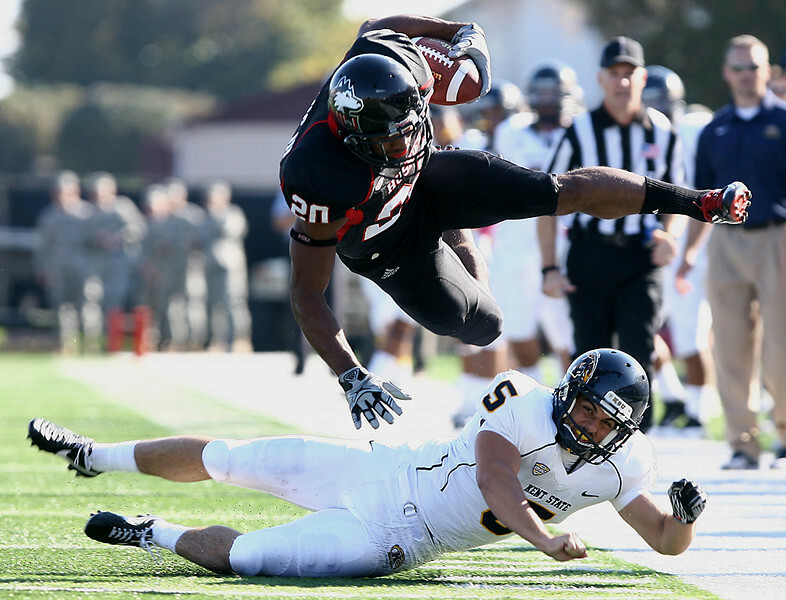 Northern Illinois University safety Tommy Davis jumps over Kent State punter Matt Rinehart Saturday, October 9, 2011 during the match up at Brigham Field in Huskie Stadium in DeKalb. THe Huskies would end up beating the Golden Flashes 40-10. 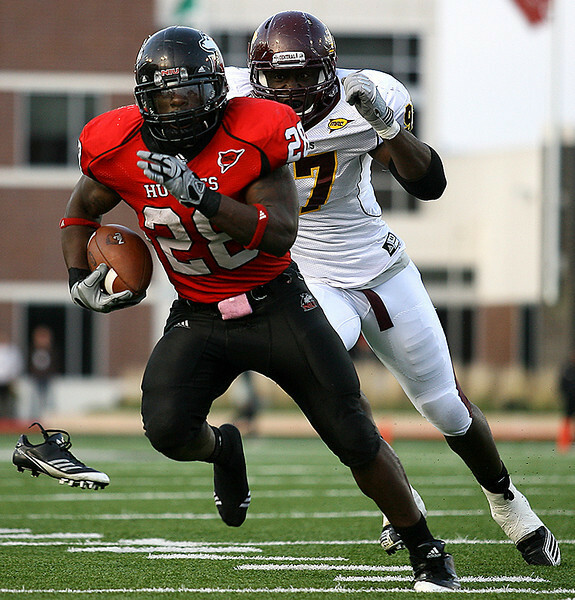 Northern Illinois University tailback Chad Spann runs toward the endzone as Central Michigan defensive end Darryll Stinson chases Saturday, October 23, 2010 at Brigham Field in Huskie Stadium in DeKalb. The Huskies would go on to defeat the Chippewas 33-7. 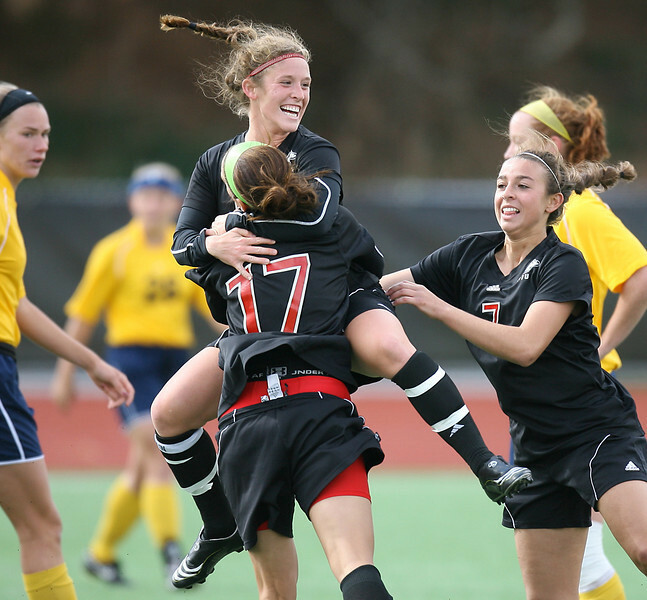 Northern Illinois University defenseman Mo Smunt jumps into midfielder Shelbi Johnson's arms Sunday, October 4, 2010 to celebrate Johnson's goal over Kent State at the NIU Track and Field Complex in DeKalb. The Huskies would go on to tie the Golden Flashes 1-1. 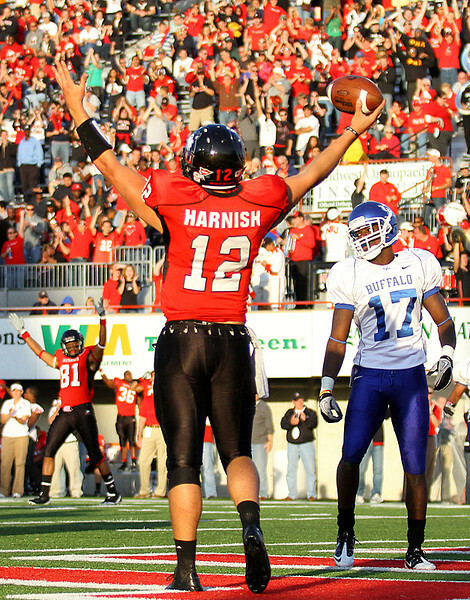 Northern Illinois University quarterback Chandler Harnish raises his arms to the crowd after scoring a touchdown Saturday, October 16, 2010 at Brigham Field in Huskie Stadium. The Huskies would go on to defeat the Bulls 45-14. Matt Eye, 27, of Loves Park jumps off a dock while making a cannonball into the Rock River Tuesday, July 3, 2012, at Shorewood Park in Loves Park. 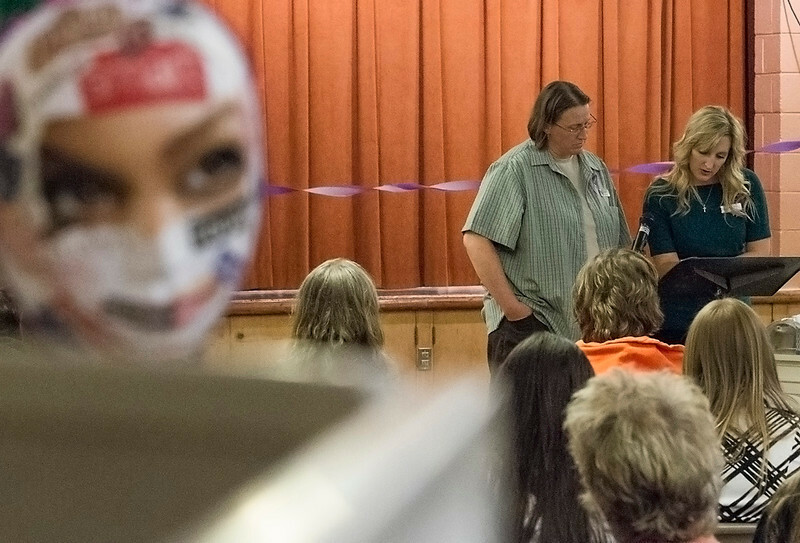 Safe Passage workers read an anonymous story to the audience during the 19th Annual Domestic Violence Vigil held at the First Congregational Church of Christ in DeKalb on Monday, October 7, 2013. Grant Germano, 13, (from left) Maddasyn Pettersen, 12, and Marcus Smith, 10, stand on the putting green Friday, June 22, 2012, at Aldeen Golf Course in Rockford. All three golfers are currently Rockford's greatest golfing prodigies while they are also good friends. 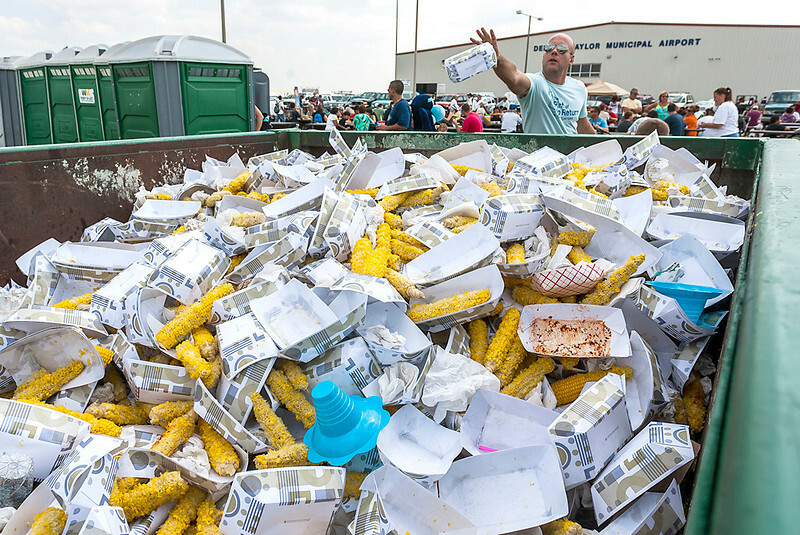 A man throws away a corn cob into a pile of garbage Saturday, August 25, 2012 during DeKalb's Corn Fest held from Friday through Sunday at the DeKalb Taylor Municipal Airport. Festival workers and attendees trade off for empty and filled glasses of beer at one of the many tents during the third annual Screw City Beer Festival in downtown Rockford on Saturday, September 7, 2013. 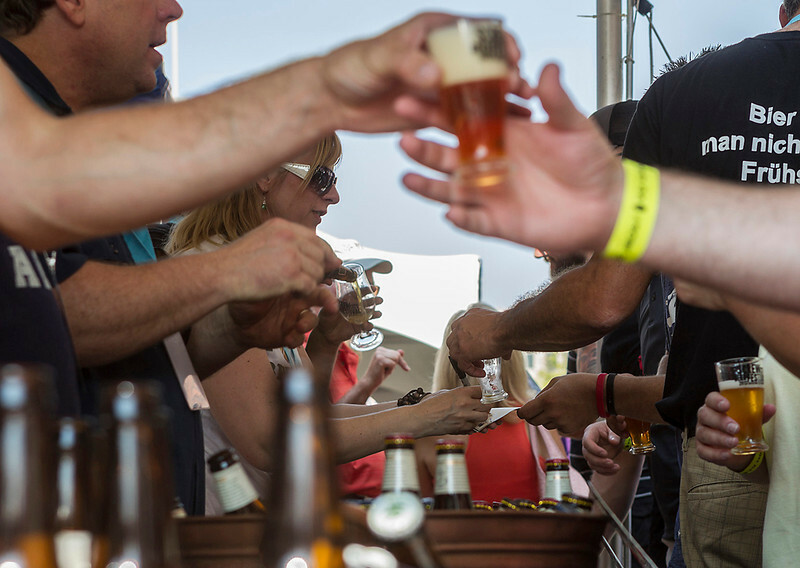 The SCBF hosts over 130 different types of beers and will bring about 2,000 enthusiasts during its one day duration. 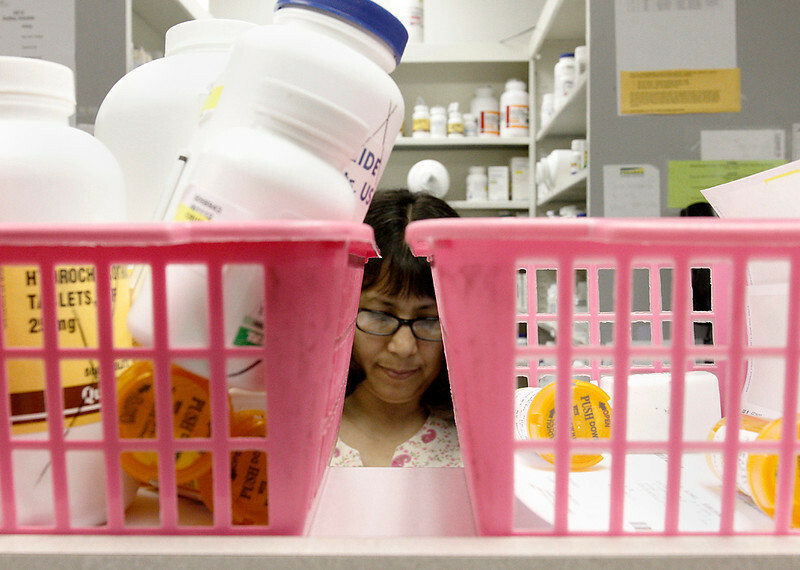 Pharmacist Technician Francisca Pawlowski sorts and prepares medication Friday, June 29, 2012, at Crusader Community Health Clinic in Rockford. 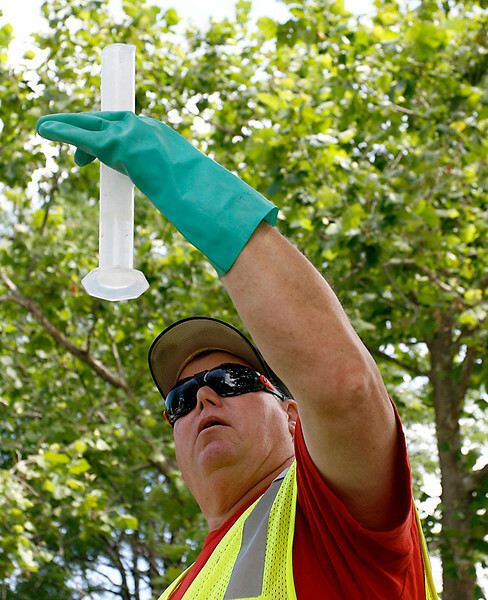 Certified Arborist Steve Farra measures a specific amount of insecticide to be used on Ash trees Thursday, June 21, 2012, on Weaver Road in Rockford. 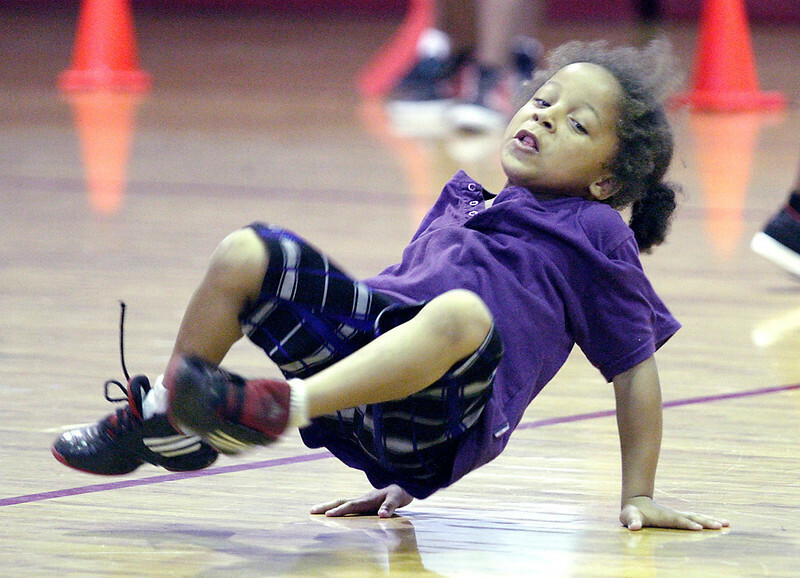 Demarjia Brown, 5, break dances after a goal Wednesday, June 20, 2012, at the Blackhawk Boys and Girls Club in Rockford during a community gathering event. 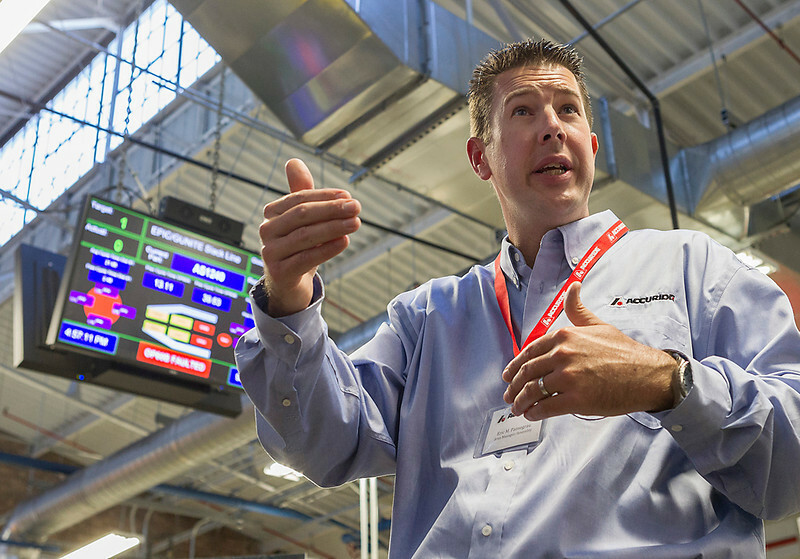 Area Manager of Assembly, Eric M. Pansegrau, speaks to the tour group about the Automated Slack Adjuster Assembly during the tour of the Accuride assembly facility in Rockford on Sunday, September 29, 2013. 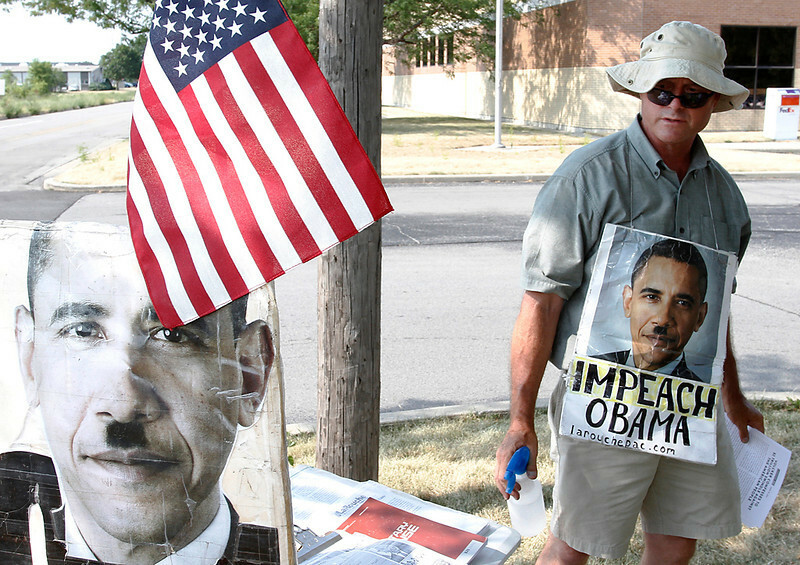 Don Clark of Chicago, a member of the LaRouchePAC, protests with his wife Judy against President Obama Monday, July 2, 2012, at the intersection of Clinton Road and Windsor Road in Loves Park. 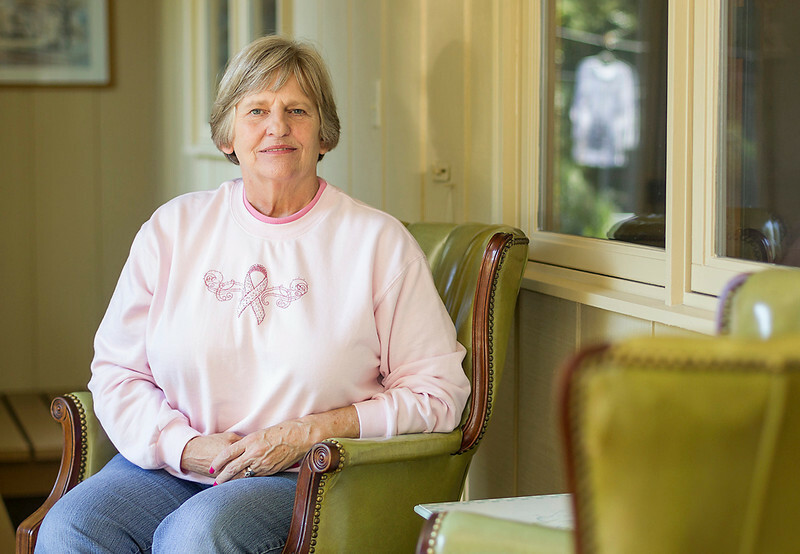 Resident Deb Landmeier sits in her solarium while at her home in Belvidere on Thursday, September 26, 2013. 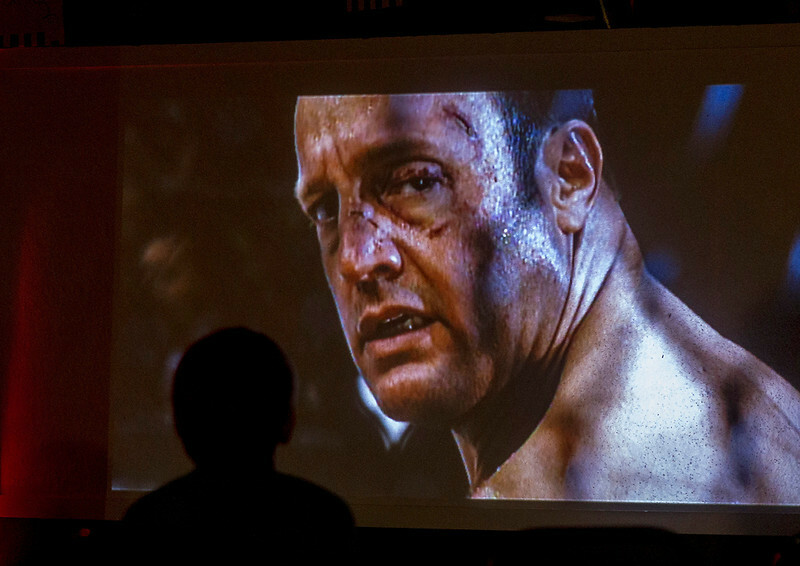 Noah Komes, 10, watches "Here Comes the Boom" with actor Kevin James staring back at him during the event, "Cops and kids at the movies" during the Youth Drop-In Center at the Maple Park Police Department in Maple Park on Saturday, September 14, 2013. The Maple Park Police Department invites youths to join the event every Friday and Saturday night from 6-9 p.m. year round. Two signs float above the crowd saying, "I SUPPORT ROMNEY" and "MITT TOO!" 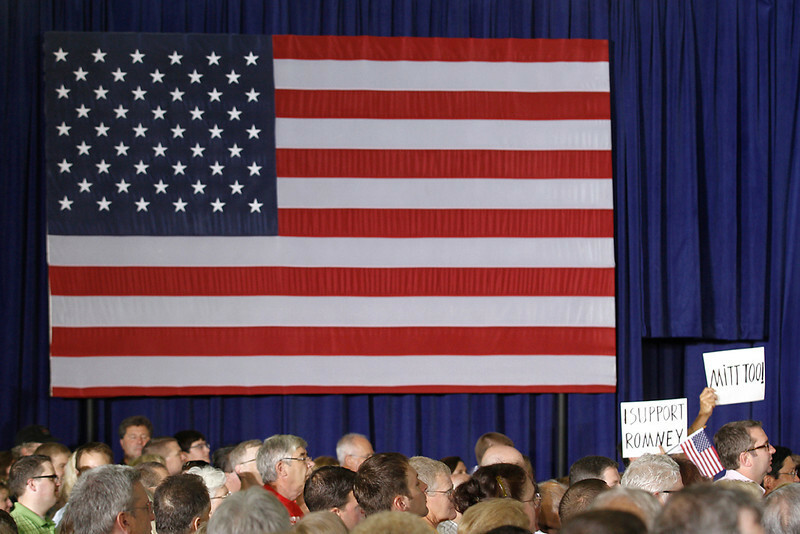 Monday, June 18, 2012, during a campaign stop for Republican presidential candidate Mitt Romney at Monterey Mills in Janesville, Wisconsin. 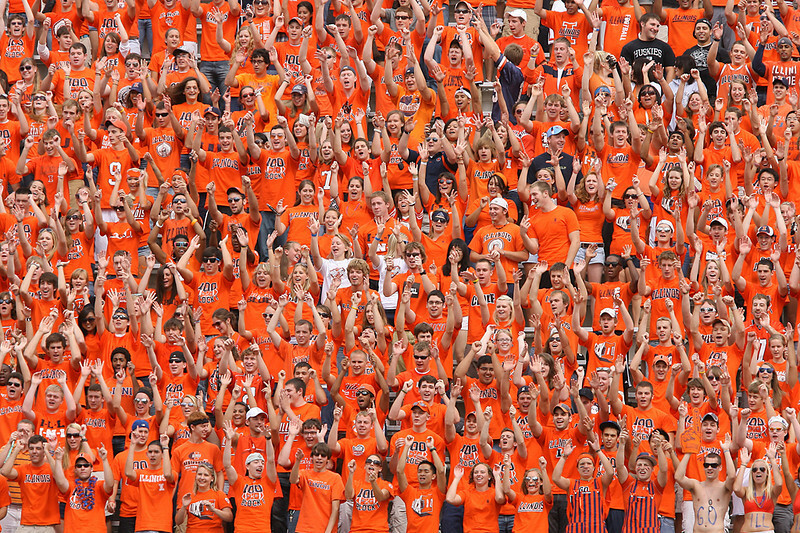 Two Northern Illinois University fans (top right) stand engulfed by Illinois fans in the student section during the match up of the Huskies and the Illini at Memorial Stadium in Urbana-Champaign on September 18, 2010. 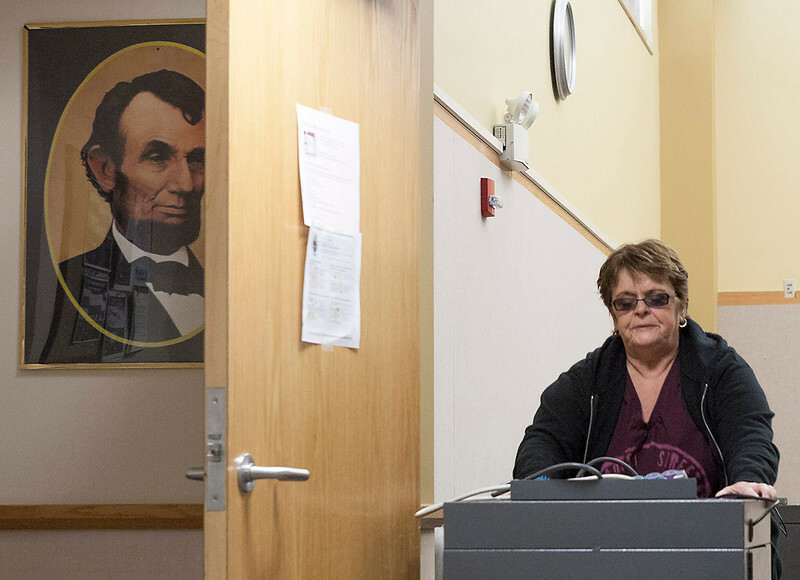 Election Judge Rene Donnelly transfers a voting machine to the DeKalb County Legislative Building from the Administration Building for the April 9th Elections while in Sycamore on Saturday, April 6, 2013. 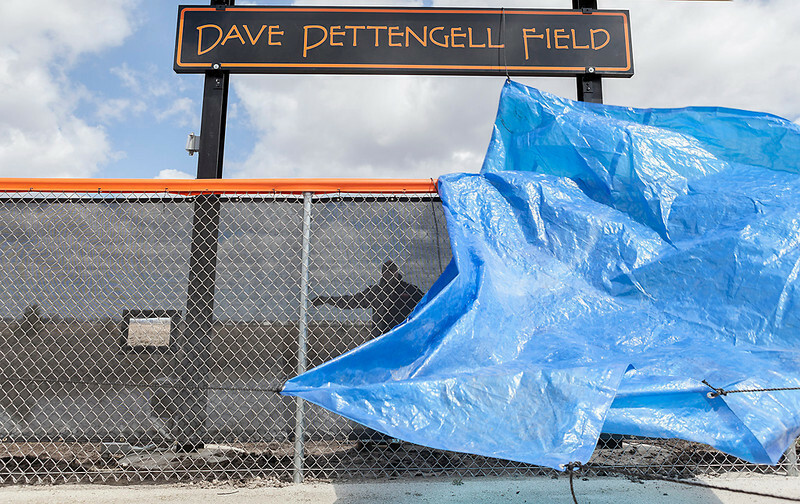 Associate Athletic Director Mark Sykes helps release the blue tarp to showcase the new "Dave Pettengell Field" sign at DeKalb High School on Saturday, April 20, 2013. 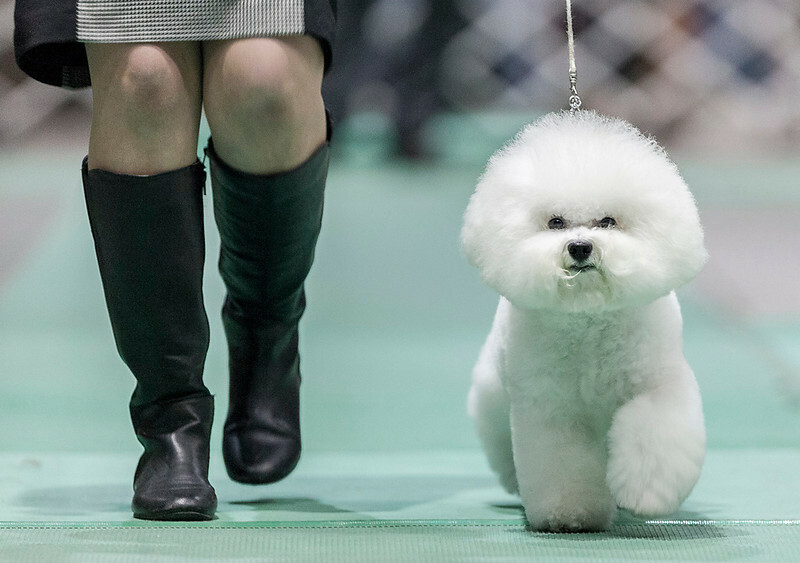 Lisa Bettis of Goshen, IN, trots her Bichon-Frise known as "Vogel Flights, Honor to Pillow Talk," during the Non-Sporting group at the Kennel Club of Yorkville - Dog Show at the NIU Convocation Center in DeKalb on Saturday, April 6, 2013. Bettis would go on to win second place in the competition. 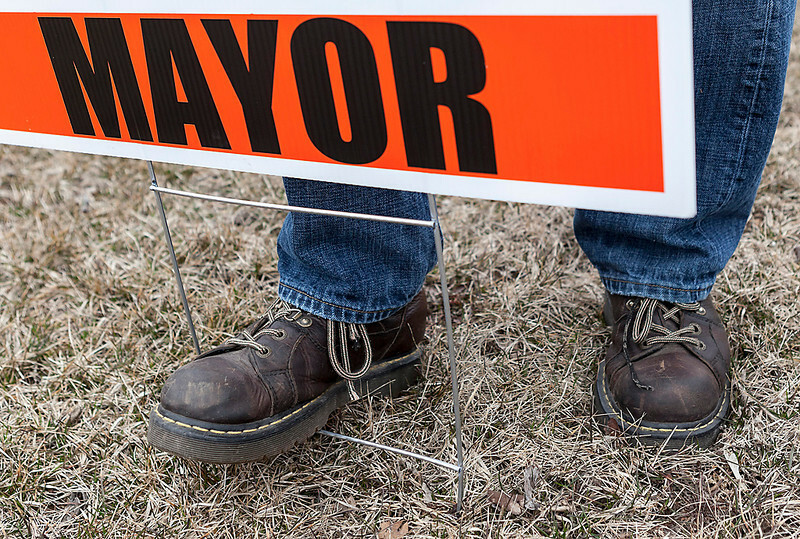 Mayoral candidate Mike Verbic steps on a "Verbic for Mayor" sign in front on Nick Velasquez's house on Taylor Street on Saturday, March 30, 2013. 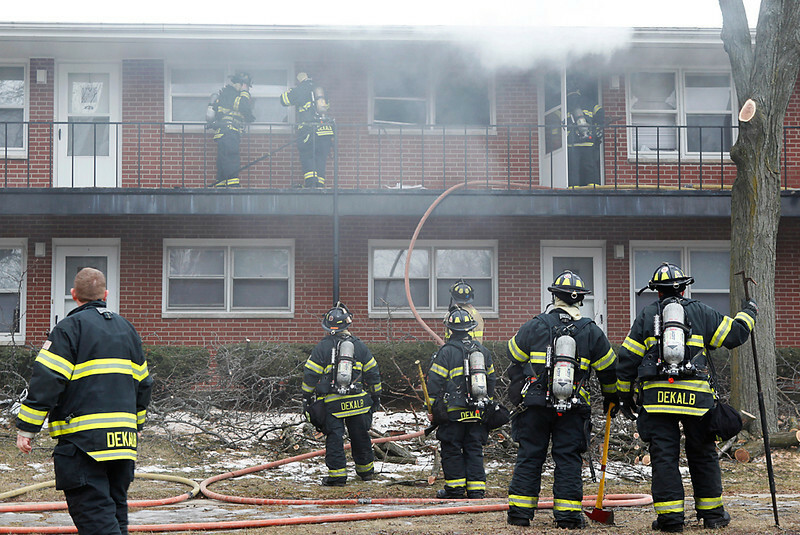 DeKalb Firefighters respond to a fire call at the 921 Normal Road Apartment Complex in DeKalb on February 11, 2013. The fire completely destroyed apartment #208 which remains un-inhabitable due to a fire caused by an out-dated water heater in the complex.